The Town of Peace River initiated the redevelopment of the Baytex Energy Centre in 2012 With the development of a Rehabilitation Committee. This regional committee included membership from the County of Northern Lights and Northern Sunrise County, public, industry, business and the hockey community. The committee developed a Multiplex Concept that was adopted by the Town in July of 2013. During the reassessment of the Arena after securing the services of the Architectural firm of BR2, to begin the detailed design work of a second rink and a connecting hub to the Peace Regional Pool, serious structural identified in the old arena. Therefore, the Town had to make a choice to change the scope of the project to build a new arena, as it was not feasible to repair or rehabilitate the old facility. The engineering assessment of the old facility gave it a life expectancy of no more than five years. Peace River begins looking for public input on an arena expansion project, a plan that included a practice ice rink with five dressing rooms for approximately $10.6 million. It also included a fieldhouse, renovations to the Baytex Energy Centre and the construction of an atrium and entrance way connecting the pool, and arena/fieldhouse complex into one. The whole plan was expected to cost approximately $33.3 million, built in four phases. Two open houses are held in March, plans are also on display at the trade show and other community events. An online survey is also conducted as public feedback is sought to help decide on a design. Approval is given to move ahead on phase one and two of the proposed multiplex. Phase one includes a second ice surface. Phase two involves connected the old arena to the pool. 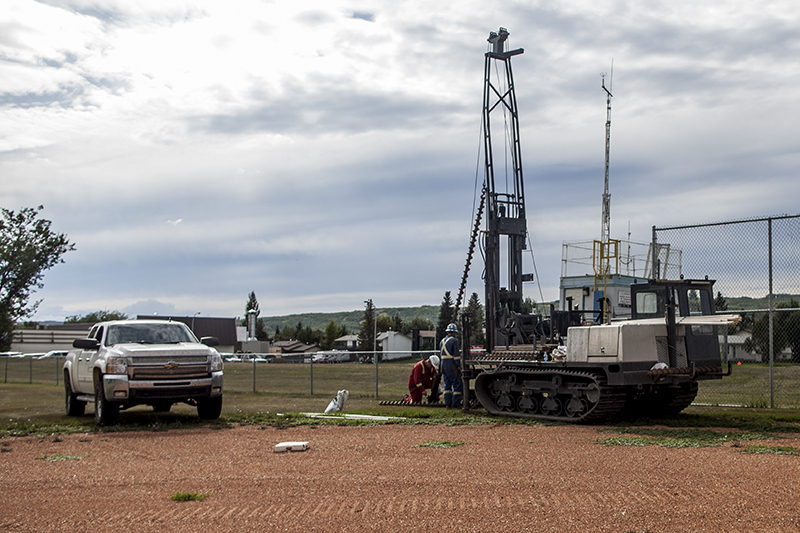 Engineering and preliminary ground studies are underway as phase one begins. During the engineering study to determine feasibility the current arena is found to be suffering from serious structural issues and will need to be demolished. Engineering assessment gives it a life expectancy of five years. Town receives quotes for arena, replacement of Baytex Energy centre is $20 million, town budget is $10 million. A rink priced at $10 million would contain four dressing rooms and 100-150 seats. Public open house was held on preliminary design. Town council decides to prioritize replacing current ice sheet first to ensure there is an ice surface in Peace River, they also decide to approach neighbours about regional collaboration. A study and assessment is initiated in the region geared at surveying and assessing all of the recreation facilities in the region to determine committee priorities. The process took more than six months. The completed studies are available for download. The committee receives the results of the study and begin working on design features. 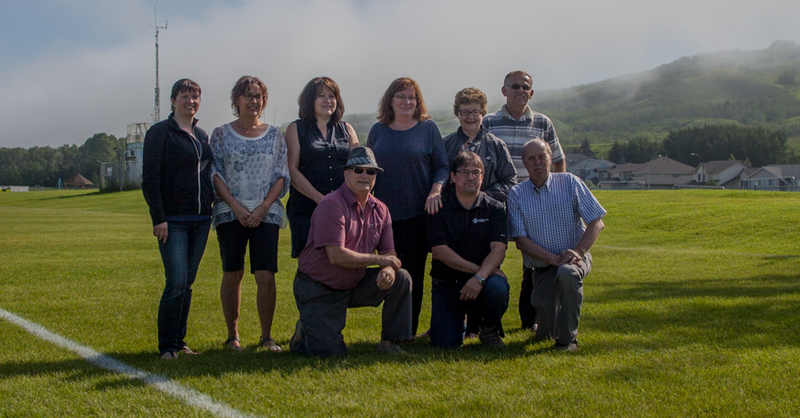 The Regional Recreation Facility Committee is formed with members of four municipalities, Town of Peace River, M.D. of Peace 135, Northern Sunrise County and the County of Northern Lights. Based on the assessment, the committee decides to prioritize an ice sheet, fieldhouse, running track, fitness centre and indoor child play space. These parameters are given to the architecture firm. The location and facility components are decided, funding commitments confirmed and a budget of $23 million is set. Multiplex design is publicly announced. Committee meets and reviews public feedback, then prepares plans for public unveiling of almost finished plans based on the feedback process and the Regional Recreation Needs Assessment. At the same time geo-technical work begins on the site to evaluate foundation materials needed. Public showcase held to show design and answer questions. More than 80 people attend. The ice plant we will be expandable to accommodate a future second ice surface. Curtains in the field house will overlap to prevent errant balls for flying onto the running track.